Flap and Swing Barrier gates are used at Entry and exit Points for pedestrians Access Ensuring security and Crowd Management at the entrance in areas with high pedestrian Flow is a Challenging task.Like Industrial Access System, Railway Entry Solution, Stadium, University Solution, Microtech (BD) Systems Import, Supply and Provide Complete Solution of Flap Turnstiles Solution in Bangladesh. Flap Barrier Of Selected Few Models Only Sell in Bangladesh Market. 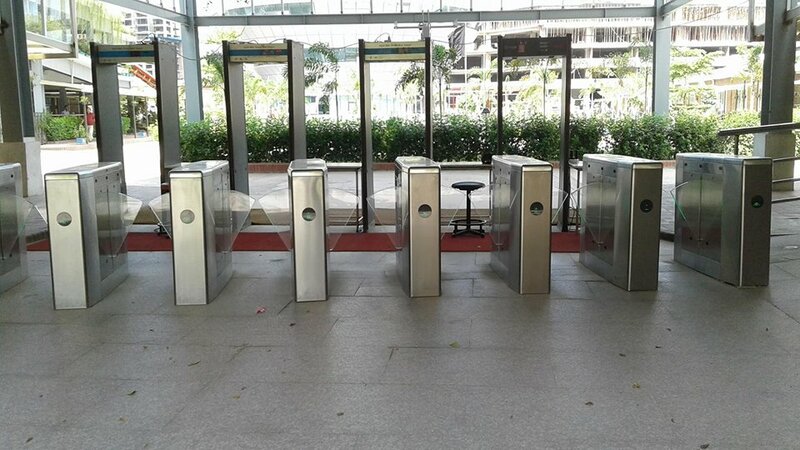 Flap Barrier Gate Solution is Little Bit Expensive Compare to Tripod Turnstiles. 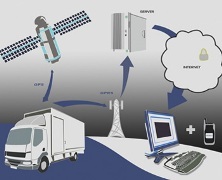 But We Try to Ensure the Best Quality Products suitable for Our High Tech Demanded Clients. 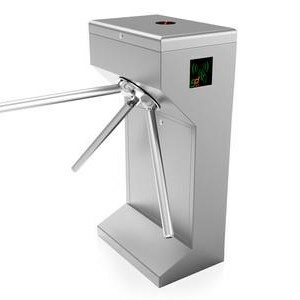 All Flap Turnstile Barrier are compact and bit Expensive for entrance solutions. Barrier Gate are Motorized and Quick Operation with Feature to Ensure Perfect Access Managements, Flap Solution is also Cab be Integrated with Time Attendance Feature. Quality Good Looking design Really Attract People. Sensor System with Motorized Automation Flap Gate Technology are Perfect, smooth and silent operation, Also Ensure Anti Tail Gate Technology to Ensure Security. 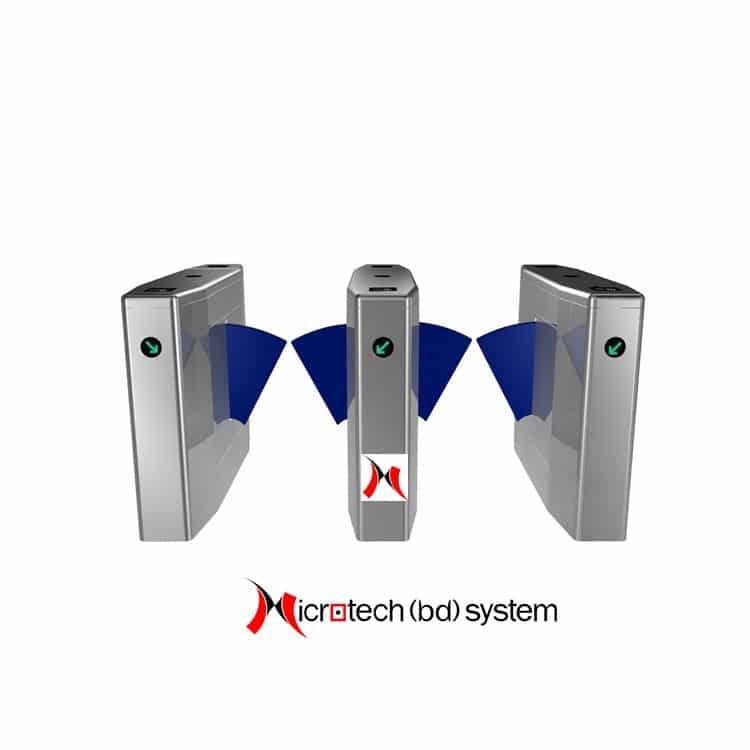 Microtech (BD) System working With Flap Turnstile, Turnstile Gate and Flap Barrier Solution in Bangladesh since 9 Years with Various Satisfied Clients. Most Of Our Products are running on Heavy Duty Area Like University, Ticketing Entrance and Group Of Companies. 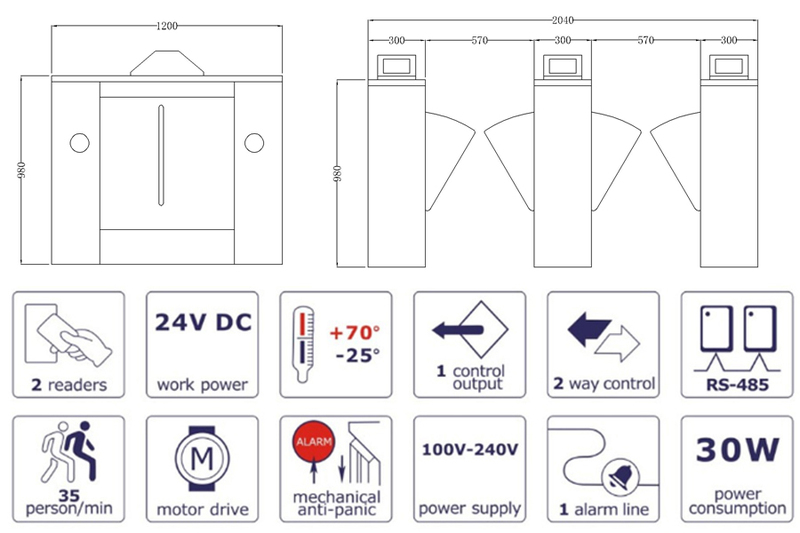 The Models we offer are Good Looking and Long Lasting also Support with Warranty and After Sales Service Provided with Required Spare parts and Electronics Components and Sensor after Warranty Period. 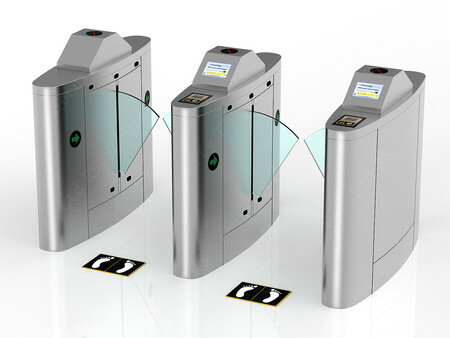 As Per Customer Need We Can Integrate Tripod Access Control Barrier with Many Kinds Of Access Control System That Meets the Specification to Integrate with Motorized Flap Barrier System Controller Board and Power System. We Offer, RS Security Flap Turnstiles Barrier, BFT Flap Access Control Barrier, ZK Techo Turnstile and Flap Gate in Bangladesh, are Origin Of China and Europe as Well. Flap Barrier are Most of Times Need to Confirm order to Import Diectly From Manufacturer. In Case Of Special Order or Stock Limitation Clients Need a Lead Time to Import Products for Clients Specific Order.Flap Barrier Need to Purchase in Pair to Set so As Per Cutomer Requirements Sets of Products and Type of Flap Need To Confirm. Work Voltage: AC220/110, 24Vold Motor. 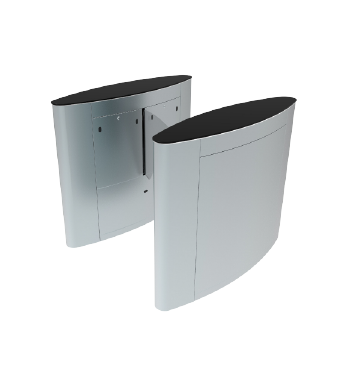 ZK Flap Solution for Single Lane Flap Barrier Turnstile or Multiple Lance as Per Needed. 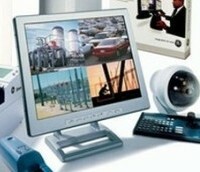 System can be Pre Manufacture as per Order with Face Detection, Finger or RFID. Safety Sensor, Anti-Tailgating Sensor Built-in . Automatic Drop Arm On Power Failure. No In Built- Access Managements So User Need to Asked Price As Per Intigration Requirements. Can be Supply as Per User Need. Safety Sensor, Anti-Tailgating Sensor Built-in. 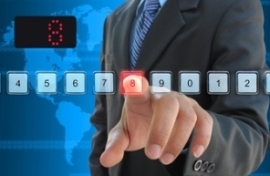 Integration with Access Control Devices. 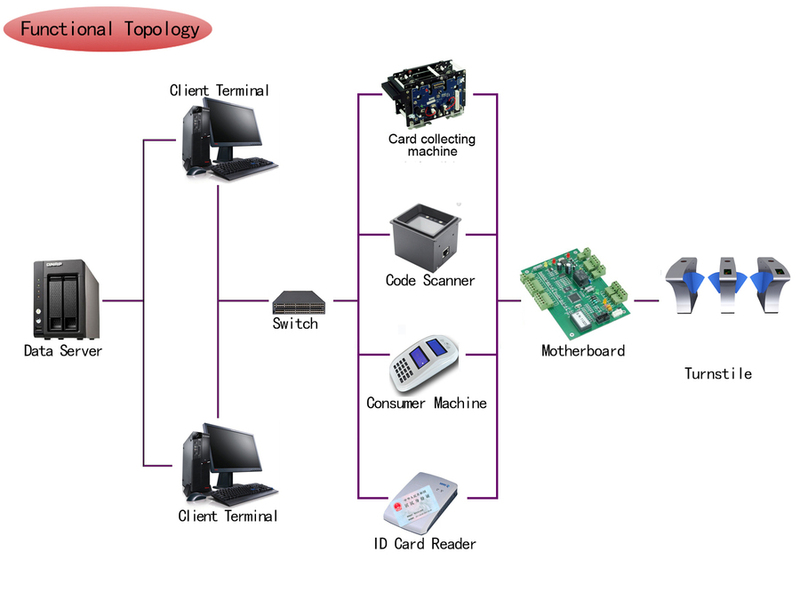 In Built RFID Card System Support 20,000 Card User. Features: Flap Barrier systems provide effective means for pedestrian flow control at entrances of high class communities, intelligent buildings, hotels, subway stations and other high level venues. Copyright � 2013 Microtech (BD) System. All Rights Reserved.